Looking to start at the top? Call 780-962-8580 to set up a confidential meeting. Why Choose RE/MAX Real Estate Spruce Grove? RE/MAX Real Estate Spruce Grove is the right choice for you if you would like to maximize your business potential and personal success alongside other respected real estate professionals in the community. 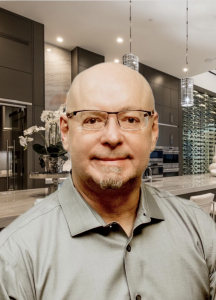 Lead by the Broker/Owner Roger Hawryluk who as well as managing the Spruce Grove office continues the successful real estate career he started in1981. Over the years Roger has been the recipient of many awards including 2005 Broker of the Year, 2008 Lifetime Achievement Award and in 2014 The Robert H. Cherot Award, which is the highest award given out by Western Canada in appreciation and recognition of his contribution, dedication and leadership in real estate. As well as the comprehensive training RE/MAX offers, you will also benefit from being guided by Roger who is a vast source of knowledge and support. Roger keeps his finger on the pulse of all real estate changes and also offers additional inter-office training as required, tailored to suit everyone’s needs ensuring that each Associate has ongoing opportunities to grow and improve their business. The Associates within our office are very supportive of one another and it is a great advantage to be able to call upon such a wealth of experience when needed. We enjoy time socializing together at the annual office golf tournament and Christmas party as well as participating in various community events throughout the year. Our summer yard sale in support of The Children’s Miracle Network is always a huge success thanks to the great community support and dedication of our Associates and staff. We are also a 100% committed office donating a portion of commissions from each transaction to the Stollery Children’s Hospital, making each home a miracle home. Call Roger to find out how you can be a part of this successful team! RE/MAX stands for "real estate maximums". In exchange for paying a management fee and a share of the monthly office overhead, RE/MAX Associates keep the maximum allowed amount of their commissions and receive the many benefits of RE/MAX programs and services. At RE/MAX, your success is limited only by your ability, determination, and hard work – not by restrictions one finds in conventional real estate companies. At RE/MAX, quality people who are serious about excelling in the real estate business have the freedom to realize their full business potential. In addition, RE/MAX name recognition, reputation for quality service, and market strength – which is rapidly becoming worldwide in scope – afford Associates a considerable advantage when competing for clients. When an office is filled with top-producing agents, the result is more yard signs and advertising throughout the market and more customers walking into or calling the office. Momentum picks up even more because there are only competent professionals handling the floor, converting a high percentage of off-the-street business into listings and sales. While all RE/MAX Associates contribute to group advertising funds, you yourself determine how you want to invest in your own individual advertising and personal promotion. At RE/MAX, it's the Associate – not the Broker/Owner – who decides how much he or she should spend on advertising and which media to use to best serve customers. Unlike agents of other real estate operations, RE/MAX Associates are expected to receive the leads they generate themselves. The independence and creativity of RE/MAX Sales Associates are nowhere more visible than in personal promotion activities. Since it doesn't have to cater to inexperienced or marginal producers, RE/MAX training immediately jumps to the top producer's core need – increasing business without increasing work time. All RE/MAX training focuses on this goal, whether delivered via the RE/MAX University, national and regional conventions, or office-level training sessions. An increasing number of courses are worth credit for Continuing Education or professional designations. A typical RE/MAX International convention includes more than 150 educational sessions and numerous courses offering credit toward professional designations. RE/MAX Associates are known as innovators. They were among the first to aggressively embrace personal promotion and buyer agency, and to adapt technology to the real estate sales process. New ways of doing business don't depend on top-down approval. 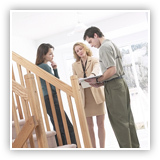 The innovations start in the field and the RE/MAX system responds with support. RE/MAX Affiliates are encouraged to be the first to pioneer trends that lead to increased productivity. At RE/MAX, you are free to hire licensed or unlicensed assistants or create a sales team with members specializing in various aspects of the business, all within the overall management framework of the brokerage. This freedom enables you to build your business to any level you desire. Averaging more than 13 years in the real estate business, RE/MAX Associates have built up reserves of satisfied customers. About 70 percent of RE/MAX transactions result from repeats and referrals, quality prospects who require far less qualifying than new customers. The less predictable sources of business make up about 30 percent of the transactions of RE/MAX Associates. When a recession hits, it's the salesperson with the contacts, the referrals, who will survive. 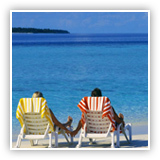 Being in business for yourself at RE/MAX, you have the flexibility to choose your own listing and sales specialties. A glance at the RE/MAX Referral Roster will disclose the variety of the more than 20 residential and commercial specialty areas declared by RE/MAX Associates. These include auctions, buyer brokerage, condominiums, farm and land, luxury homes, military, new construction, relocation, rentals, and vacation and resort properties – the entire property and housing spectrum. With more experience, more annual sales per agent, and more professional designations than other salespeople, RE/MAX Associates have shown the industry new heights in productivity by mastering the latest technologies, sales strategies, marketing innovations and business systems. 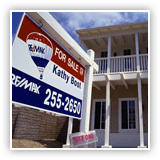 The RE/MAX network has grown every month since the organization was founded in 1973. The revolutionary RE/MAX Concept of enabling real estate professionals to maximize their business potential has evolved into an organization of more than 100,000 Sales Associates in more than 6,900 offices worldwide. A powerful measure of a company is assessment and recognition by others. RE/MAX has been featured in major articles in mass-circulation periodicals and receives frequent coverage in real estate magazines and newsletters. It's the global home of "The Real Estate Leaders®". Nobody in the world sells more real estate than RE/MAX. RE/MAX Associates lead the industry in professional designations, experience and production while providing real estate services in residential, commercial, referral, relocation, and asset management. The network is celebrating more than 30 years of consecutive growth. Behind RE/MAX success is a vast array of RE/MAX programs and services that benefits everyone in the system, from Regional Directors, Broker/Owners and Sales Associates to, ultimately, customers and clients. For Broker/Owners, these benefits are powerful recruiting and retention tools, enabling them to fill their offices with the best in the business. RE/MAX Associates, on average, are the highest producing agents in the real estate industry, averaging more than $100,000 in earned commissions annually. Industry studies of "Worth," "Franchise Times," "Real Trends," "Entrepreneur" and other national publications rank RE/MAX as a real estate leader. In January 2008, RE/MAX International was the nation's number one real estate franchise and the number ten franchise overall, according to Entrepreneur Magazine's 29th annual "Franchise 500 Survey." RE/MAX has held the honor of the top real estate franchisor for eight of the past ten years. 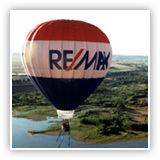 The RE/MAX Hot Air Balloon is the most recognized symbol in real estate, a reflection of large market share. The "Above the Crowd!®" logo soars on RE/MAX advertising and promotion worldwide. No other real estate organization has the level of brand recognition and definition of RE/MAX. The brand draws buyers and sellers as a result no one in the world sells more real estate than RE/MAX. Prime-time RE/MAX images now fill television screens in homes across the United States and portions of Canada, generating more than 4 billion impressions annually. RE/MAX support programs are designed to help make RE/MAX Associates the most successful and highest-producing agents in the real estate industry. Advanced training courses, RE/MAX continuing education programs, conferences and conventions all lead to professional development. 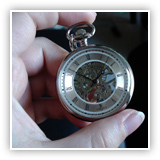 Both regional and international awards programs recognize outstanding sales achievement. With RE/MAX University your training options are virtually limitless. You can choose from streaming video, webinars, classroom sessions, training on demand and podcasts. And with access to strategies from the industry's top coaches and professionals. you'll learn something new at every turn. 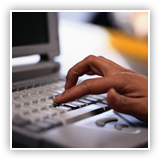 You can become a specialist by adding certifications to your list of qualifications. RE/MAX Associates outnumber competitors in earning some of the industry's most highly respected designations. You can count on seeing new and improved options that help you adapt to the ever-changing marketplace. The developing course lineups refelct a proactive approach to keeping you ahead of industry shifts. RE/MAX is "Out in Front®" on the real estate industry's information superhighway. The RE/MAX World Wide Web site, the RE/MAX Mainstreet, RE/MAX Design Centre, LeadStreet, RE/MAX University, Training on Demand, Lonewolf software, and many other RE/MAX technological tools facilitate listings, referrals, and global networking. There are few places you can go for more than 150 hours of educational sessions with renowned speakers, industry experts and top-producing Associates in one meeting space. When you attend the RE/MAX International Convention and other network conferences, that's exactly what you'll find. The "RE/MAX Times," RSN Program Guide, the annual corporate report, Approved Supplier Catalog, manuals, brochures, newsletters, and an array of other materials in print and online help RE/MAX Associates remain "Above the Crowd!®"
The professionalism and experience of existing RE/MAX Sales Associates contribute to the success of each new Associate. RE/MAX people are part of a winning, enthusiastic team. 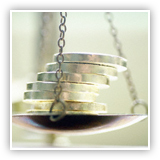 RE/MAX Sales Associates receive the highest possible compensation, even after monthly expenses. In exchange for paying a management fee and a share of the monthly office overhead, RE/MAX Associates keep the maximum allowed amount of their commissions and receive the many benefits of RE/MAX programs and services. Benefiting from RE/MAX synergy, services, the maximum commission program, referral and repeat business, and real estate experience, RE/MAX Associates survive – and even flourish – in down markets. Main Street. Not Wall Street. RE/MAX is the only major real estate network still run by its original top-producing founders, remaining true to its real estate roots while the owners of others play the stock market game. RE/MAX International and people within the network, are comitted to making a difference in the communities where they live and work. RE/MAX Associates have raised approximately $100 million for Children's Miracle Network through local activities, network-wide fundraisers and the Miracle Home program, which enables RE/MAX Associates to make a donation to CMN on behalf of each home sold With the Sold on a Cure Program, RE/MAX real estate professionals take an active role in creating a future without breast cancer by donating to the Canadian Breast Cancer Foundation on behalf of each home sold. Also RE/MAX of Western Canada is making progress in its pursuit to raise awareness for the need of donor registrations across our region. On behalf of all provincial organ donation registries, RE/MAX of Western Canada proudly sponsors: www.liveon.ca, a website designed to link those wanting to register as an organ donor with the donation agency in their specific province or territory. RE/MAX public relations takes many forms, from charity sponsorships to sports marketing through the RE/MAX World Long Drive Championship and auto racing. Generating new sources of business for RE/MAX Associates is the purpose of RE/MAX International Relocation Services, Inc. 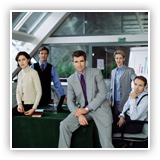 The organization's Corporate Connection program enables Associates to expand their own business while benefiting the corporate client. A growing number of RE/MAX offices throughout the system are exclusively commercial or have commercial divisions. Many RE/MAX offices that are predominantly residential also have commercial specialists who have aligned with the office, providing residential Associates with additional referral opportunities. No one in the world sells more real estate than RE/MAX, "The Real Estate Leaders®". RE/MAX Associates are the first group of real estate agents to be involved in more than 1 million transaction sides within a single year. For more than 30 years, RE/MAX has sought the top 20 percent of agents who are estimated to do 80 percent of the business in residential property sales. As the production statistics show, RE/MAX is the home of quality professionals. Now more than 100,000 strong, RE/MAX Associates, on average, lead the industry in production, experience, and professional designations. They also are well known for their contribution to Realtor boards and for their community involvement. RE/MAX Sales Associates, on average, outproduce agents of competing real estate networks. That production translates into an Associate average of 24 transaction sides a year, leading to more than $100,000 in annual earned commissions. At RE/MAX, top-producing agents increase income not only from the maximum commission concept, but also from increased productivity. The success of the network ultimately depends on each RE/MAX Associate providing unparalleled satisfaction to each of their customers. Advanced education, technological expertise all translate into quality customer service. The proof of quality service is in repeat business and referrals. RE/MAX Sales Associates average 70 percent of their business from repeats and referrals, while other agents average about 30 percent from those sources. Every program and service that RE/MAX provides is designed to enable Associates to reap the maximum reward for their efforts and to help them reach their full professional potential. From national television advertising to a global referral network, to state-of-the-art electronic tools, RE/MAX offers it all. Premier Market Presence results from community-minded top-producing Associates giving superior customer service under a respected company banner. RE/MAX has already attained PMP in area after area across North America and is growing in market share in regions around the world. 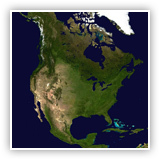 The organization has been the top-producing real estate network across North America for several years, is the real estate leader in scores of U.S. markets, and is growing rapidly around the globe. Winners attract other winners. A professional environment draws other quality people, resulting in more yard signs, more advertising resources, more RE/MAX name recognition, more referrals, and thus ever more agents looking to RE/MAX to fulfill their career ambitions. Associate success has played a major role in the network's 35+ consecutive years of growth.